Look out, comedy fans! 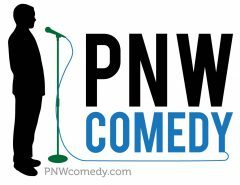 On Friday, January 25th, stand-up comedy makes it’s way back to Forest Grove! 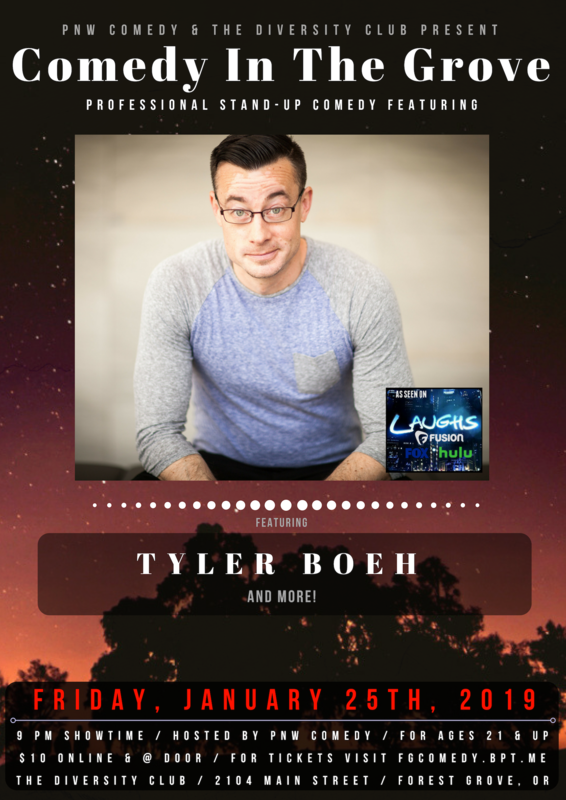 And this time, we have the hilarious Tyler Boeh! 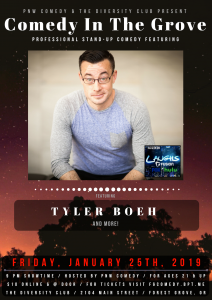 Tyler’s been featured on TV (“Laughs” on FOX,) radio (his comedy album debuted at #2 on the Billboard Comedy Charts), has been written about in Forbes (https://bit.ly/2GPZCD1), has toured the country performing his comedy, and for one night only, Tyler will be visiting the Diversity Cafe to perform for YOU! Tickets for this show can be purchased at the following link: http://fgcomedy.bpt.me/. Online ticket holders will be seated first and any remaining tickets will be sold at the door the night of the event. Seating begins at 8 PM and the earlier you show up, the better.